Create a stunning focal point in your bathroom with the Sculptures Sliding Shower Door. Featuring a high quality chrome plated steel bracing bar, with a new compression fast fix system for ease of assembly and enhanced bracing strength, chrome on brass assemblies, feature handle and 10mm thick bevel edged glass. 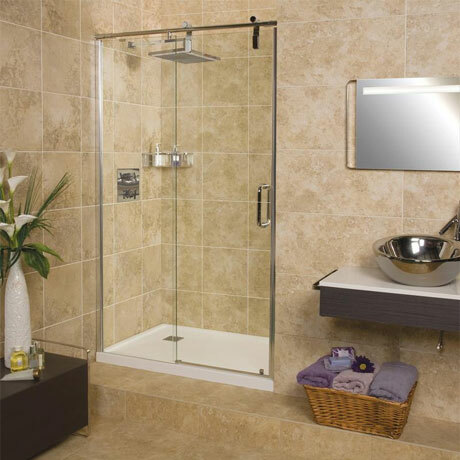 The smooth soft closing door adds a feeling of luxury to complement the look of this luxury shower door. Due to the minimalistic styling of Sculptures products only 8-10mm of adjustment is available. We therefore recommend that a site survey is undertaken to ensure walls are vertical prior to installation.